Crime is constantly on the rise, and it isn’t just a break-in or burglary that you need to worry about. All sorts of crimes are being committed on a regular basis, and a lot of home owners do not feel that their homes or their families are properly secured and protected. Luckily, security camera technology is constantly improving and evolving. Due to the latest technology, it is easier and more affordable than ever before to keep yourself and your family or business protected from crime. One new technology that you should consider learning about is spy cameras. You can learn about spy cameras quite easily by doing your research online, and you can then purchase the equipment that you need in order to keep certain scenarios under surveillance. If you think that having spy cameras hidden in your home is being a bit too paranoid, you should think again. Safety and security is important, and you can really benefit from the security that these spy cameras bring. Although more traditional security cameras certainly have their place, there are times when you can benefit from having spy cameras instead. The beauty of having spy cameras in your home instead of larger and more indiscreet cameras is that you can capture video surveillance footage without anyone knowing. This allows you to capture the truth in many situations when you would otherwise be left in the dark. People are sure to act differently if they see security cameras in your home, so it is nearly impossible to accurately assess what goes on in your home when the cameras are not rolling. However, a hidden spy camera can allow you to see what happens in your home when your babysitter or other individuals think that no one is watching. Keeping an eye on your babysitter or nanny is one of the primary purposes of having a spy camera in your home. Although you might trust your babysitter, it is important to never put your children at risk. Unfortunately, there are a lot of bad people in this world, and you certainly want to make sure that you are not trusting your children with these people. With a spy camera, you can keep an eye out for violence, sexual abuse and other issues. Although it can be scary to think about these things, it can be even scarier to think that they could be going on in your home without you knowing it. A nanny cam can help you to see what is going on when you are not around, and you will have solid video evidence that can be used as proof in the event that something does happen to your child. Even if you believe that your babysitter or nanny is a generally good person, a hidden spy camera will allow you to make sure that she is doing her job. For instance, you can make sure that your children are not being neglected or ignored when you are away, and you can take necessary action if your children are not being watched properly. Spy cameras also help you to enforce rules with your babysitter. For instance, you can monitor whether or not your babysitter is having company over when you are not home, if she is allowing your children to break the rules or if she stays on the telephone instead of keeping an eye on your kids. Although nanny cameras are very popular, they are not the only reason that people learn about spy cameras. Spy cameras are also effective in the home for monitoring your own children or for keeping an eye on your spouse if he or she has been exhibiting suspicious behavior. You might feel a bit sneaky by monitoring such things with a spy camera, but you have a right to know what is going on in your home. If you hire cleaning crews, maintenance workers or other individuals to work in your home, spy cameras can help you to make sure that none of your precious belongings are stolen. Not only can you keep an eye on your things to make sure that your home is being properly treated and their your valuable belongings and your money are not being stolen, but you will have valuable video evidence if you ever need to press charges on someone or if you need to confront them about their behavior. Along with these benefits, having spy cameras in your home can help you to catch a burglar if he breaks into your home. Many burglars are not as crafty as they seem, and it is very possible that they can make mistakes that will help you to catch them. With a hidden spy camera, you can often capture valuable surveillance footage that you can bring to the police in an effort to catch the criminal who broke into your home. Although it might seem a bit futuristic to carry a spy camera around with you in your day to day life, there are actually tons of benefits to having a spy camera on hand. There are tons of portable spy cameras that are completely inconspicuous, and you can really benefit from having these items with you. For instance, college students or busy professionals can often benefit from having a small spy camera around. Students can use these cameras to tape a lecture instead of writing down a lot of notes, and professionals can use these cameras as a way to record job interviews or meetings. There are many tiny spy cameras that are highly inconspicuous, so you don’t have to worry about anyone looking at you while you are recording your footage. In the event that a crime occurs in your presence, it is always valuable to have video surveillance. Whether someone attempts to hurt you or if you witness a robbery or break-in, having valuable footage can help the police to catch the criminal. If you have a tiny spy camera that is not noticeable, you can often capture footage without being detected, so you don’t have to worry about anyone getting nervous and taking your camera away from you. The most common spy cameras are small wireless units that can be carefully hidden somewhere in your home. 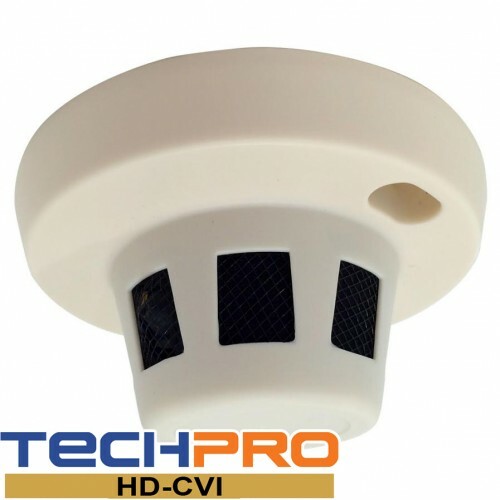 Although these cameras often look like security cameras, they are typically designed so that they are easy to install where they cannot be seen. There are tons of ways that you can install these security cameras. For instance, often placing one behind a few pictures or other decorations is usually enough to disguise them, and you can also get more creative and install them within your walls or in other inconspicuous areas of your home. When shopping for these types of units, try to look for a wireless model. Not only are wireless cameras much easier to install, but it is also easier to install them in a manner where they cannot be seen. It is also important to find out how you will store and watch your surveillance footage. In many cases, you can watch the footage on your computer screen, but you will sometimes need to purchase a digital video recorder with a matching monitor. These items are a great investment and can be used with other components of your security system. Another type of spy camera is even less obvious and even more useful, and you might be surprised by the creativity that was used to design these objects. If you are considering adding spy cameras to your home, you should learn about spy cameras that look like household objects. Not only are these cameras useful, but they can be very sneaky, and they can be a lot of fun. For instance, you can purchase a spy camera that looks just like a household clock. These spy cameras are fully functional as a clock, so someone in your home can stare at it and have no idea that it is actually video taping them. The possibilities are actually endless. Along with clock surveillance camera options, there are teddy bears, telephones and all other types of spy cameras that look like common household objects. These items make it easy to keep your home under close surveillance, but make sure to take a better look at each camera before making your purchase. Some of these cameras offer a wonderful picture while others do not offer a good picture at all, so make sure to compare these cameras to other options before making a final purchase in order to ensure that you get the best possible surveillance footage. IF you are looking to learn about spy cameras that are easily portable, you probably don’t want to carry around a wireless security camera that actually looks like a real security camera. Fortunately, there are tons of options for those who are looking to bring along a portable spy camera. One of the most popular choices in this scenario are spy cameras that come in the form of an ink pen. These pens are fully functional and can be used for writing, but they also include a tiny spy camera that is surprisingly functional. Spy cameras that look like and act like pens can be a great choice for recording lectures in your college classes or for capturing surveillance footage of a job interview or other event in the professional work place. These are not the only sneaky spy cameras that you can carry around, however. In fact, they actually make sunglasses that double as a spy camera, which is an even more futuristic but helpful idea. With these sunglasses, you can protect your eyes from the sun while capturing valuable surveillance footage. A spy watch, key chain or even a cigarette lighter can also be used as a spy camera. These items look just like regular everyday items, but they can capture surprisingly high quality footage without anyone knowing what you are doing. If you are in the market for portable spy cameras, you should take a look at all of the options that are available online. You might be surprised by all of the creative cameras that are out there, and they are typically not as expensive as you think. They are also more helpful than a lot of people think. Once you get used to carrying around a spy camera with you, you will find more and more uses for it. You will also be surprised by how helpful hidden spy cameras can be in your home. If you are interested in keeping yourself, your family and your business or home as secure as possible, you should try to learn about spy cameras as much as you can. Not only can you learn new and improved ways to protect yourself and the people and belongings that you care about, but you will also probably have a lot of fun learning about all of these new and exciting devices that are on the market. Contact Techpro Security today to find out more about protecting your family with security cameras.